MOSCOW (Sputnik) - A blast erupted Saturday in the Afghan capital of Kabul, local media reported citing the Interior Ministry. A number of victims in an explosion that occurred in the Afghan capital of Kabul earlier in the day has increased to three, whereas five others were wounded in the blast, the TOLO News TV channel reported, citing Nusrat Rahimi, the Afghan Interior Ministry's deputy spokesman. 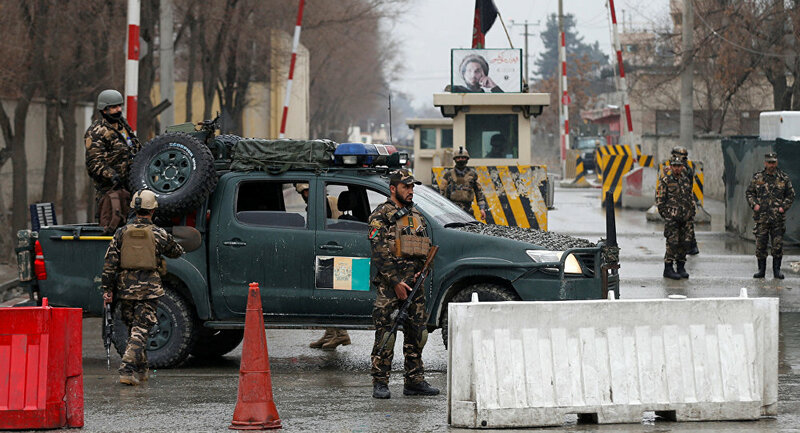 Earlier reports stated that a suicide blast hit a security checkpoint in Kabul’s ninth district during a morning rush hour, killing at least one person. The Daesh terrorist group has claimed responsibility for the attack, according to the broadcaster. Daesh was also responsible for an explosion that hit western Kabul in late December, claiming lives of at least 40 people. The latest attack is not the first one of a kind in the Afghan capital. In January, a blast, which hit the diplomatic quarter of Kabul, where the embassies of other countries and many government buildings are located, claimed lives of over 103 people, while the number of those wounded reached 235. The Taliban terrorist group claimed responsibility for the attack and four people in connection with the explosion were arrested. This tragedy has become the deadliest attack in recent years, according to the Afghan authorities.